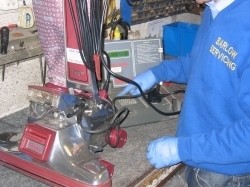 J Barlow Servicing has been offering Kirby Vacuum Cleaner Service & Repairs in Manchester since 1979. A former authorised Kirby Service Centre for fifteen years, Barlow′s are now an independent specialist who strive to achieve repeat business and customer satisfaction. Full strip down & Diagnostic. Replace faulty or worn parts on customers request. All necessary components greased and lubricated. All work & Parts fully Guaranteed. 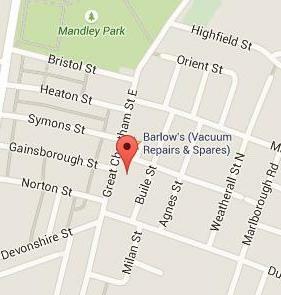 Duncan Shirkey... "Really impressed with the quality of care and service from J Barlows. Well worth the trip over the Pennines for Kirby repair and full service. The vacuum is working as good as new even though it's 24 years old. It had several issues, all sorted by the professionals. These guys really know their trade and I will defiantly be back in the future. Thanks to all the staff!" Dave King... "Gave Barlows an opportunity to mend our ageing Kirby that has been serviced elsewhere until last year. The machine was returned working and like new. The cost of the work was half the cost of what we normally paid. Very Highly recommended"
Arthur Edisbury... "J Barlow's has a great team of guys, total professional who know their job backwards, really very pleased with the repair and advice. All done at a common sense price. Well worth the 14 miles to see them"
Robert Cranston... "Great Service from staff who knew their stuff. Great explanation of the problem and great advice for future use of machine. Prices were very good and all work warranted for 12 months. It was a shame I had to drive a round trip of 120 miles but well worth it. Thanks a million"
Joan Hosang... "Had my vacuum cleaner serviced it is now better than it ever was! i cannot recommend Barlows highly enough the whole care service is so professional! Absolutely a very happy satisfied customer! Well done Barlows! Joan Hosang, Ripponden, West Yorkshire. Well worth the journey!" Many of our customers call into our shop to have their Kirby's Vacuum Cleaners serviced while they wait, we have ample free parking right outside our door and we are easy to find. Our service takes approximately 45 mins to 1 Hour and we also find customers take advantage of our central Manchester City Center location to do a little shopping. Just 2 mins around the corner from us on Cheetham Hill Rd is Manchester Fort retail park which hosts many top retail outlets including lots of cafes and restaurants, so by the time you've had a cup of cappuccino or even had a bite of something to eat your Kirby Vacuum Cleaner will be ready for you to collect. Call us on 0161 792 4118 to make a prior booking (we are also open Saturday 9am- 1pm).